Finally! 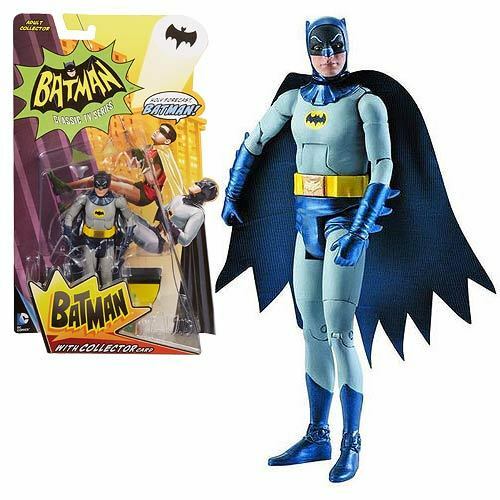 Batman 1966 TV Series action figures! 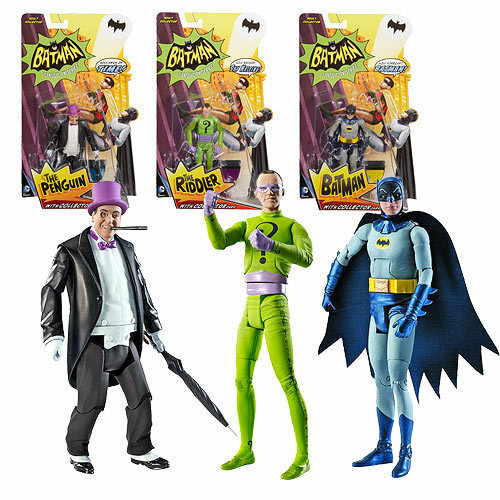 The Classic Batman TV series in your favorite 6-inch DC Classics scale! 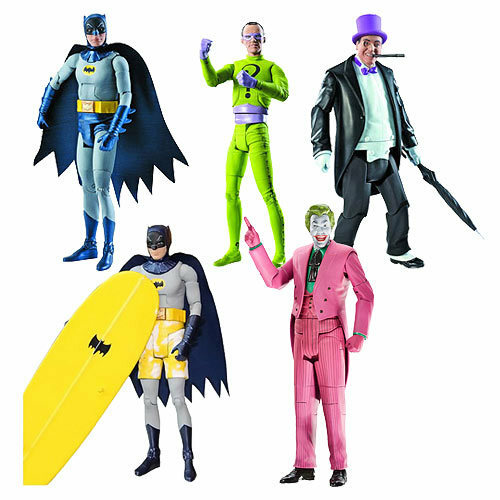 From the Batman 1966 TV Series comes these 6-inch scale highly detailed, authentic action figures represent top characters from the show, with attention paid to the tiniest details to represent each actor's likeness. 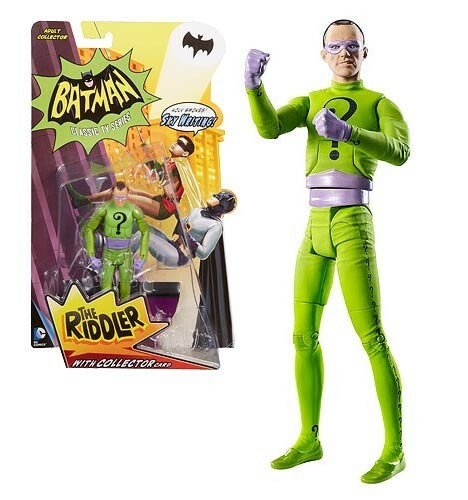 For example, The Riddler includes slippers over his leotard. Each figure includes a display base with retro style trading card backdrop. 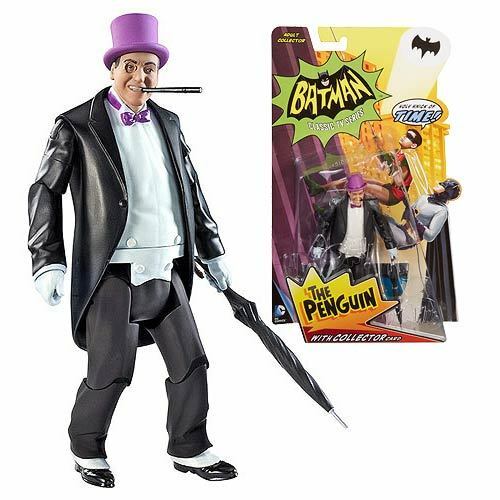 Before Mickey Goldmill from the Rocky series, Burgess Meredith was the Penguin! Release date - August 2013!